Today, Brazilian architect Oscar Niemeyer passed away. 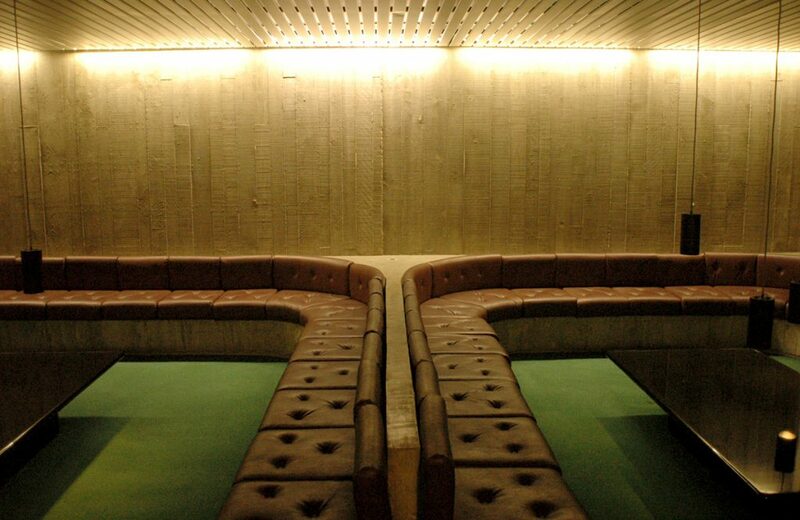 He designed some of the 20th Century’s most famous modernist buildings. 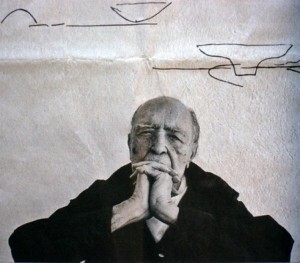 Mr Niemeyer has died just before his 105th birthday. His leftist position (he was a faithful Stalinist) cost him much during Brazil’s military dictatorship.Â His office was pillaged, the headquarters of the magazine he coordinated was destroyed, his projects mysteriously began to be refused and clients disappeared. In 1965, two hundred professors (Niemeyer among them) resigned from the University of Brasilia in protest against the government treatment of universities. 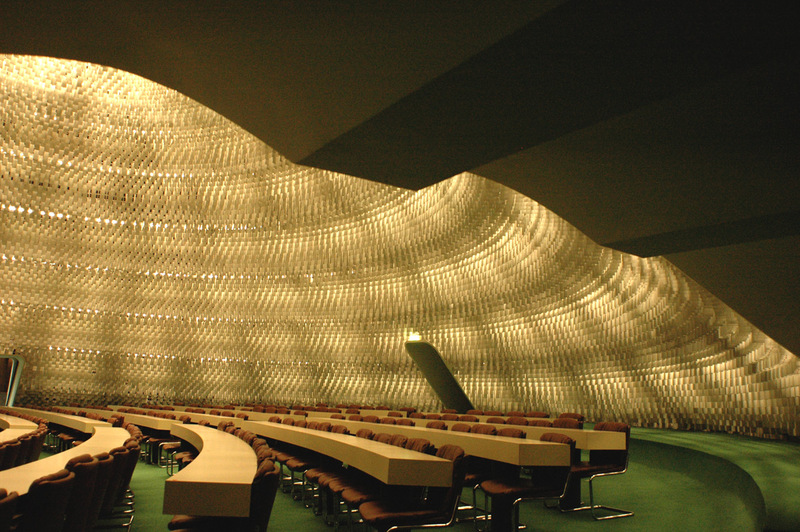 The following year Niemeyer moved to Paris. 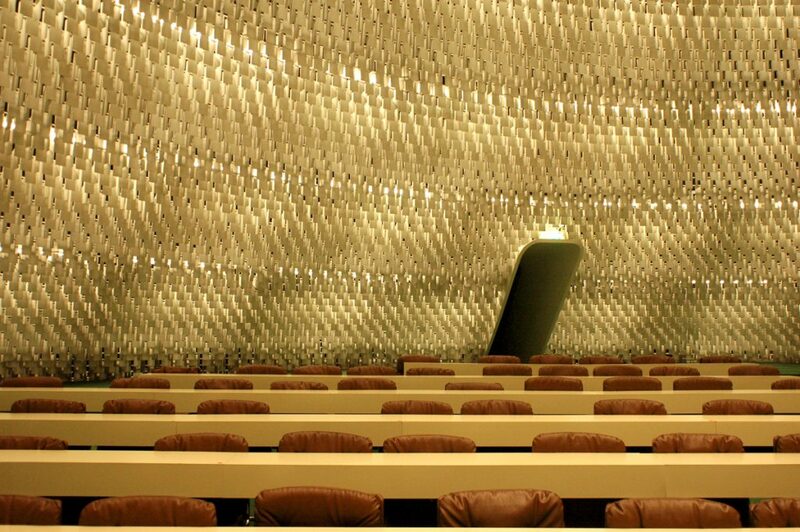 While in Paris, Niemeyer began designing furniture which was produced by Mobilier International. He created an easy chair and ottoman composed of bent steel and leather in limited numbers for private clients. Later, in 1978, this chair and other designs including the “Rio” chaise-longue were produced in Brazil by the Japanese company Tendo. The easy chairs and ottomans were made of bent wood and were placed in different Communist party headquarters around the world. Much like his architecture, Niemeyer’s furniture designs were meant to evoke the beauty of Brazil, with curves mimicking the female form and the hills of Rio de Janeiro. These images correspond to the headquarters of the French Communist Party. The avant-garde building become super hip, fashion houses like Prada have rented the building to present their collections. 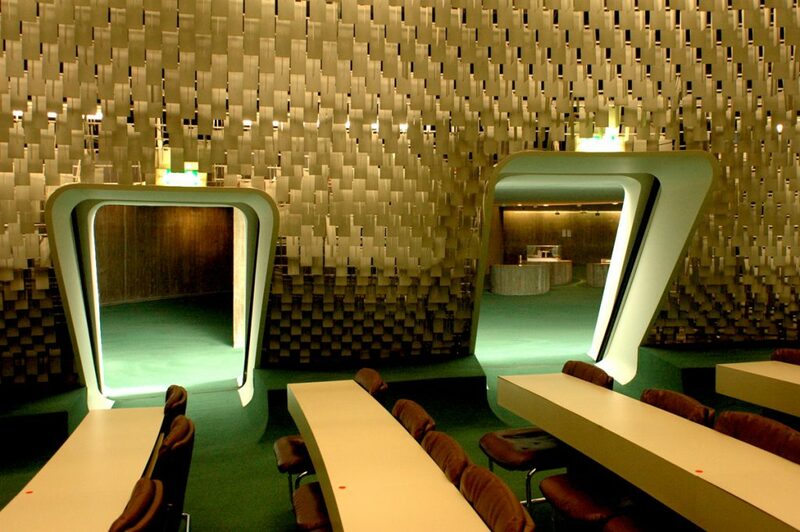 Niemeyer created a beautiful building, he wanted a simple construction without ornament. 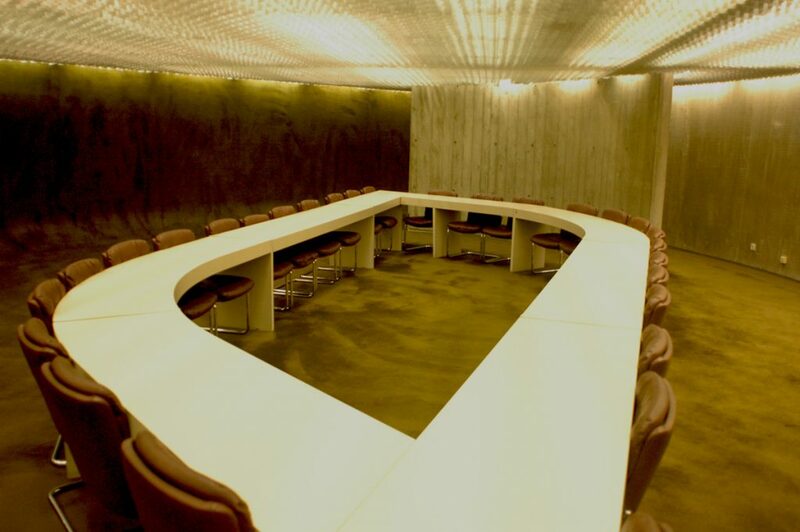 Oscar Niemeyer said the headquarters was “a piece of work which will constitute in this city, I am sure, an example of contemporary architecture, and even, permit me to say, a tourist attraction.” The main conference room with metal slates hanging vertically on the walls is situated below ground level and has Niemeyer desks and chairs. The room’s dome is on the lawn in front of the curved six-story main building, sheathed in glass. As an Oscar Niemeyer aficionado, this building was one of the first places I made a point to visit shortly after relocating to Paris. Besides the French Communist Party, the property has one or two other tenants. As of today you cannot visit on your own, you have to take a guided tour which are organized a few times a week.